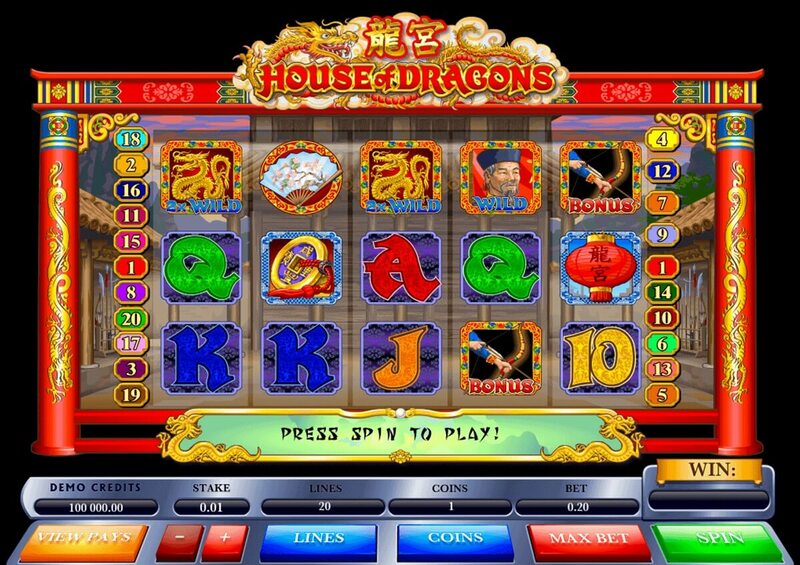 House of Dragons, an online slots machine game from Microgaming developers, will quickly bring to mind all of the imagery players of a certain age will recall about the fascinating Chinese culture. The game is set in a traditional courtyard dwelling, and ornamental dragons aplenty are displayed against a background of oriental music that serves to draw players into the unfolding action, no matter what kind of device he or she may be using to access the fun and real money wins. House of Dragons has five reels and 20 paylines available for players, and the reels themselves are set within a pair of pillars decorated by beautifully rendered dragons. Players setting the reels spinning will be entertained by the selection of funny puns, with phrases like “I wok the line” and “Wok on the wild side” being incorporated at length. 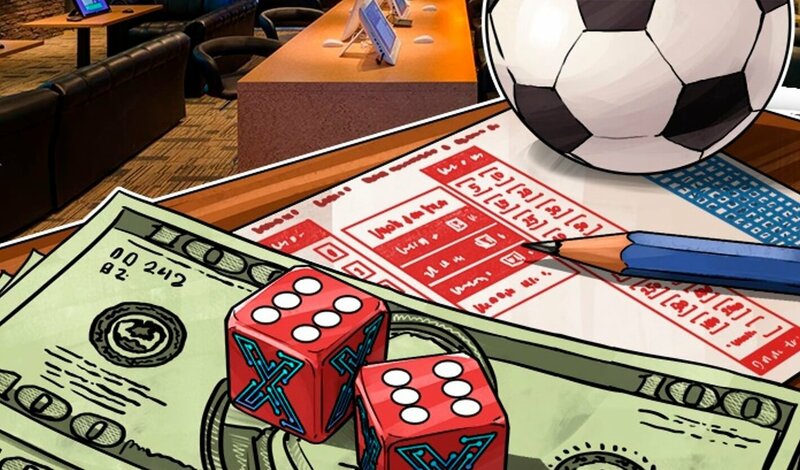 The lower-value icons are represented by playing cards, and those which are higher in value will all immediately bring the world of China to the player’s mind: a Chinese coin joins a fan; a traditional archer; and a red paper-lantern. The archer icon acts as the bonus symbol, and there are two wild icons available for players to make use of: a golden dragon and an emperor. The fan functions as the scatter symbol for House of Dragons play. Players who are able to land three or more fan scatter icons will be awarded a bonus automatically. This has each fan being flipped over, one after the other, in order to reveal a possible win and multiplier. These are not guaranteed, but this bonus triggers regularly enough for players to see some results some of the time. The Archery Game is the chief bonus game for House of Dragons online slots, and activates when players land three or more of the archer symbols along an active payline, and when this occurs players will be asked whether they would like to gamble their line win or simply collect it. Players who choose to gamble it will be asked to pick one target from a group of four displayed onscreen, and each of these will offer him or her a different reward. The archer will then take aim, and if the arrow hits the target the player wins, if it misses the bet and prize money are both forfeited. Players who manage to land the dragon wild icon and have it form part of winning combo will have whatever the prize would have been for the combination doubled in value. 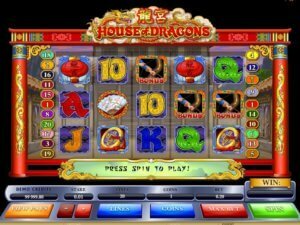 House of Dragons is an engaging slot, excellently graphically rendered and packed full of innovative bonus features that will keep mobile casinos Canada players entertained as they try to spin their way to a win. The world of China is interestingly interpreted, and the sound-effects will enhance the experience as a whole.